Just before we arrived back in Nepal, I realized that only ten months had passed since our extended stay of 4 months last year. After our feet touched down on Nepali soil, it seemed as though we’d never left. We were greeted at the airport by a company of our precious Nepali family bearing flower garlands to place around our necks, along with lots of hugs. It was a grand reunion. For a time I forgot about my travel weary mind and body. We found Kathmandu the same as we left it, the usual traffic mayhem ensuing. Unlike before, we paid very little attention to it, too busy catching up with loved ones. Our next hearty ” welcome” came as we pulled into the gate onto church property. All of the children were standing on the steps of the church clutching flowers to distribute to each of their visitors. I tried to capture this “snapshot” and hang on to it. Their initial response to us, as has been my experience, is a bit formal. They seem to be regrouping in their mind and wondering if we really still love and care for them. I’ve since realized that maybe I come on a little too strong with my hefty hugs. They have suffered so much loss. It seems that they are protecting their hearts from adding any more pain or disappointment. On the other hand, they all looked healthy and many of them had grown quite a bit! There are now 22 that call New Life Children’s Haven their home, along with a few older ones taking classes in higher education. The two youngest boys have only been there several months. There are stacks of applicants but not enough resources. I am so grateful to all of the wonderful people who help provide these children with food, shelter, and medicine. Somehow, God makes the income stretch. On paper they still do not receive enough to make ends meet. Another huge monthly struggle without financial support is their education. They are receiving it, but it is an almost daily struggle to provide. There is a small school on the church property. Our children only have to walk a few steps to get there. There is a total of around 80 students. Many of the children from outside that come are not able to or simply don’t pay and there is no money to pay for our kids. The staff remains behind on salary. Somehow, God has kept this school going. Somehow, God gives our dear Pramita (the principal and children’s home director) the strength to endure such hardship. Without the safety net of family or government programs, education is their only ticket out of crushing poverty. Unemployment in Nepal is around 75%. With that said, please pray for the ongoing monthly needs. We are their voice. This a first hand account of the ongoing struggles and triumphs of this little flock in Nepal. Please prayerfully consider how you can help. You can reference back to last years blog to see many of the faces of these precious children and members of the family of God in Nepal. 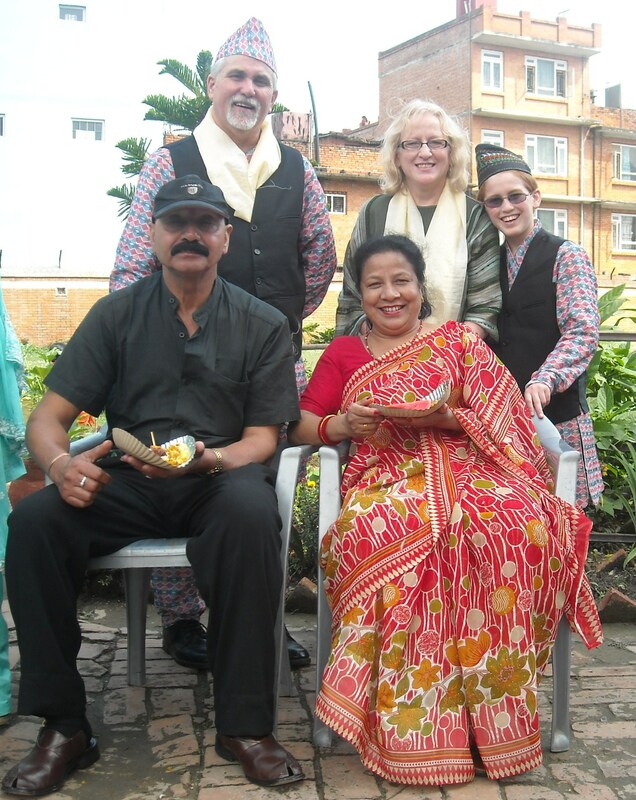 Yes, our adventure in Nepal has ended for a season. We are so thankful to God for His mighty hand of provision, protection and presence during our extended stay there. Lord willing, we will go back again one day. What an incredible experience!!! 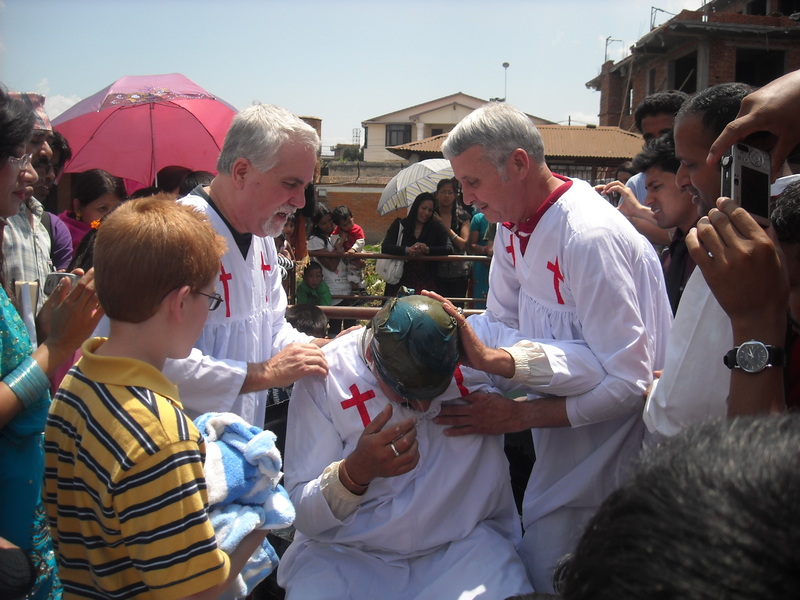 If anyone gets me started talking about God’s work in Nepal, I can’t shut up. We miss all of our friends and loved ones there very much. Why does Nepal have to be so far away!!!!!!!!!!!! Just as my heart ached to be with friends and family here, my heart aches to be with friends and family there. I comfort myself with remembering that one day we will all be together in heaven………. FOREVER. Thank you for taking time to follow our activities and stay in Nepal. We are excited about God’s work here as well. Wherever He is, all things are possible. I (Liz) have been invited to speak to a women’s missionary meeting at a church in Cabot, Ar. I am very happy for this opportunity to share about the work in Nepal. We are also considering launching a new blog aimed primarily at keeping our friends in Nepal informed about our life and ministry here and anyone who would care to read. Any ideas on a name? Give us feedback on this. A huge “HELLO” goes out to all of our Nepali friends. Love and prayers to you all! A huge “THANK YOU” to you for all of your gifts and cards, love and hugs, that we received before we left. We will always treasure them! Our hearts are there with you always. Greetings to all of our friends & family. As our time here comes to a close, as you may imagine, we are leaving a huge piece of our hearts in Nepal. We are so privileged to have been able to spend this precious time with these precious children & the dear people of God here. We take comfort in knowing that one glorious Day, ALL of God’s family will be together FOREVER. I am convinced that along with the Bible school, on equal par is to raise awareness, and funds for this children’s home. Our wonderful home church family at Jacksonville Christian Fellowship is like the little engine that could, in regard to financial giving. I am reminded of a scripture in II Corinthians 8:5, ” ……they gave themselves first to the Lord and then to us in keeping with God’s will.” We know that our Lord is pleased with such sacrifices. As the scripture says “They are a fragrant offering, an acceptable sacrifice, pleasing to God.” Colossians 1:22. We are SO proud! We thank Bro. Cary & Bro. Steve & Bro. Luke and all those that are a part of their congregations for their regular giving and their love & concern. When we arrived here we saw the many needs firsthand. We personally know the price of food & shelter, not forgetting water. 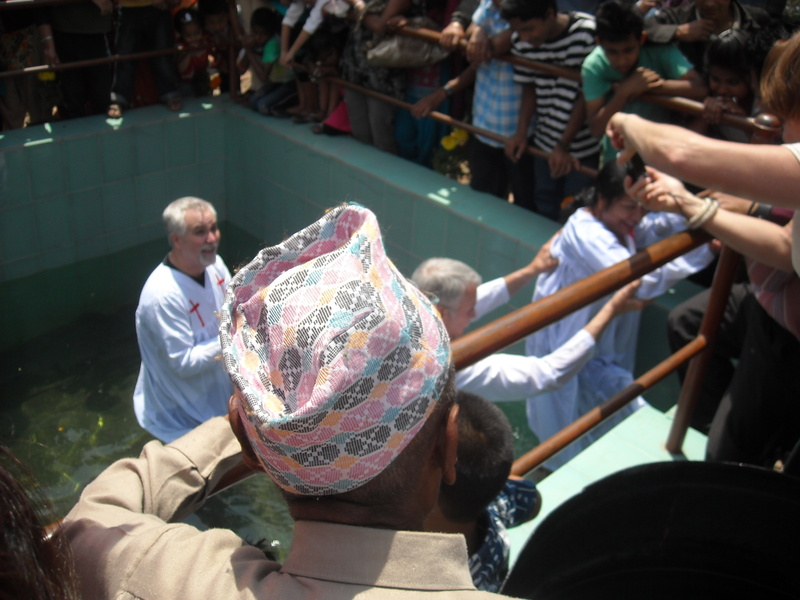 To fill the baptistery alone is $35 U.S.! I remind you of this to say how much we praise God for ALL of His people who have joined in the many, many one time gifts that have lifted a huge burden off of the leadership here. Thank you for trusting us to give you an accurate assessment. We have never met some of you met face to face, but you have been obedient to God & He will bless you. Amen. Our appeal & plea to you is in regard to the ongoing, regular needs of New Life Children’s Haven. The cost per child for food, shelter, medical care (i.e. vacinations, illness, injury), and education is $70 U.S. Concerning education, school uniforms are required by the government. For twenty-four, this can be a major expenditure. The government changed the regulation concerning the color of the shirts for a private school, so as of two weeks ago, a new unforseen need has arisen. The total regular giving covers only about half of the needs here. As you can imagine, there is a constant struggle for survival. All I can say is that the grace of God is all that has sustained this place. God has summoned us from the other side of the planet to be an answer to the prayers of these dear children and our dear Sister Pramita, Pastor Tika & Durga and all those that love them. Our prayer is that you will commit to the monthly care of a child. EVERY penny goes to their care. EVERY ONE. These children have been rescued by faith. They trust God for their next meal. Please pray and ask God what He would have you do. Time has been put on fast forward! With Sunday being Mother’s Day, we celebrated with some shopping and finished up some errands before leaving. We ate at our favorite “taste of America” restaurant, Higher Ground. It is indeed upstairs and is operated by Nepali Christians. It is so pleasant! We went by public transport, and took Pramita along to celebrate, too. On the trip home it began to rain and poured on us as we walked from the van. Kirk & Will took off running “home”, leaving Pramita & I with the umbrella, each of us having one wet half. We laughed so hard at them because they were already soaked but still they ran! We are getting many invites for fellowship and food before we leave. 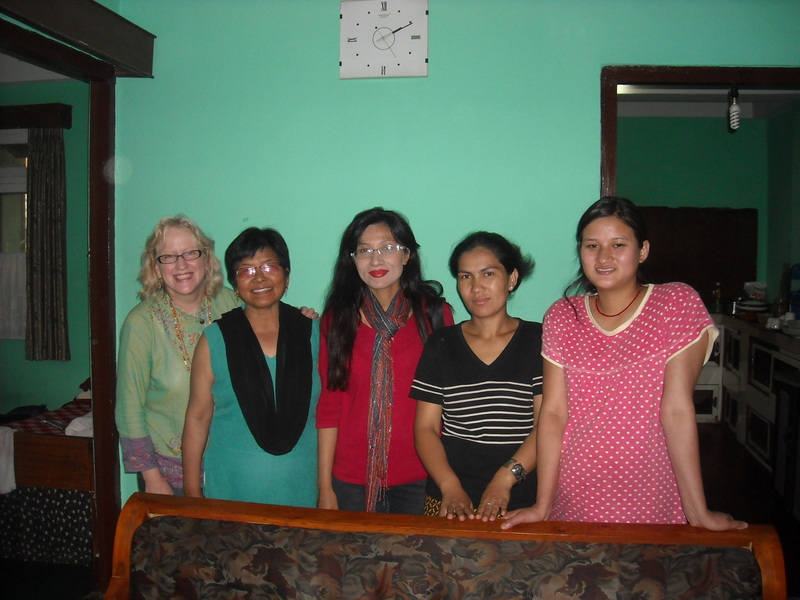 We were blessed to be invited to Pastor Tika & Durga’s home for singing & prayer, food & fellowship on Monday night. Who knew Pastor Tika could cook? Will had fun playing charades with Tika’s niece & nephew Nikky & Nicholas. Samson ate dinner with us last night & tried some new taste sensations ( American, that is). Pottam, who does housekeeping here at CCF, invited us this afternoon for a house fellowship & a good meal. Finally, we invited Violetta & Vivianna (a missionary from Brazil and her daughter) to dinner this evening. That means I have to GO! We’ll be home soon! Thank you from the bottom of our hearts for all of your prayers & support!!!!!!!!!!!!!!!!!!!!!!! Praise God for a wonderful day of ministry! Today we had an awesome service at CCF. The Lord was there in great power and many people were blessed by the worship and the ministry of the Word. After service, Liz shared with the ladies group and several women were deeply touched and encouraged to give their burdens to the Lord. Also we had the graduation service for GBC. Everyone was blessed and encouraged by these wonderful students and the hard work they have done. Please pray for them as they return to their villages to share the Word of life with family, friends and neighbors! I’ll try to get a few pictures up soon. But, to top off a wonderful day, the greatest blessing was yet to come. 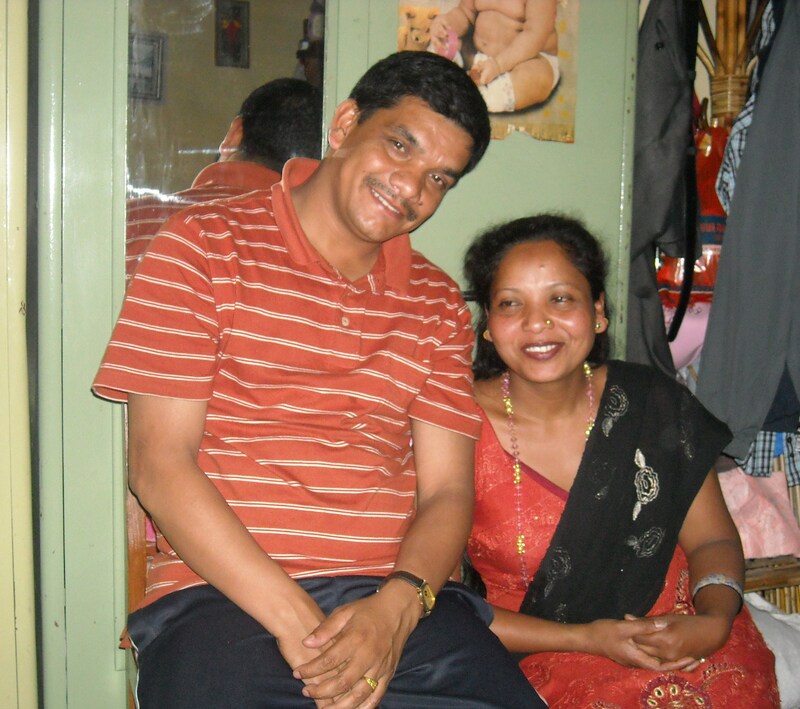 I wrote last week how Pramita’s mother had come to the Lord and how her dad was close behind. He was one week behind to be exact. He came to service today without Mrs. Mothay (she is on a trip until Monday) for the express purpose of meeting with Vic and I to hear the Gospel and accept Christ as Savior. He related how he and Mrs. Mothay had cleansed their home of every last vestige of idolatry and Hinduism. He said “no one has told me to do this but my heart tells me to accept only Jesus Christ as my God and Savior”. He then added “no idol made of a stone can help you”! After we went over the Gospel with him he prayed and accepted Christ. When we were done he said “now, I am very happy, very happy”! We will be blessed next week to baptize them both! Praise God for His wonderful Grace!